Welcome to another Coaster101 special feature. 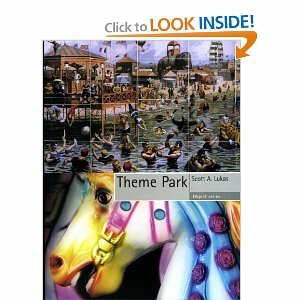 Earlier this year, I read and reviewed an excellent book called Theme Park. After reading the book, I wanted to learn more so I thought why not go straight to the source? I’d like to thank Scott A. Lukas, the author of Theme Park, for taking the time to answer a few of our questions. Now on to the interview! 101: Where did you get the idea for the book Theme Park? Scott: Since I had been a trainer at Six Flags AstroWorld, I was always fascinated with theme parks. Reaktion Books does a series called ‘Objekt,’ which includes major places or objects (Dam, School, Computer, Chair), so I approached them with the idea of a book on Theme Park. It seemed like an obvious choice since so many people go to theme parks. As well, many people have opinions (positive or negative) about theme parks, so it seemed like a natural choice in terms of a topic. 101: How did you go about or what kind of research did you do? Scott: My dissertation research focused on my work at Six Flags AstroWorld (now closed) as well as experiences at theme parks across the country–Six Flags Fiesta Texas, Six Flags Over Texas, Six Flags Georgia, Six Flags Great America, Dollywood, Walt Disney World, EPCOT, Disneyland, Cedar Point, Kings Dominion, Busch Gardens Williamsburg, among others. The research I do now includes speaking to designers at theme parks and just doing classic anthropology (what we call participant observation). For this type of work, use of video and still cameras and simple note taking is a necessity. In addition to studying theme parks, I focus on themed spaces–ranging from Arthurian restaurants to tropical casinos on the Las Vegas Strip. Most recently, I participated in a conference on theme parks and historical reconstruction events (like Civil War ones) in Freiburg, Germany. During the same trip I made it to Europa Park in Rust, Germany (a must for any of your readers who plan on visiting the Black Forrest region in Germany). 101: I’ve heard great things about Europa Park. How many theme parks mentioned in the book have you actually visited? Scott: Quite a few of them. The ones that were before my time (Steeplechase, Luna Park, Dreamland, Sea Lion Park are ones that I wish I could have visited. They were unparalleled in terms of spectacle even in terms of today’s parks) or many that have closed I unfortunately missed. I have been to a number of the European ones, including Euro Disneyland (Disneyland Paris) and Blackpool Pleasure Beach. I still have to go to Japan and visit their parks and themed spaces and visit Universal in Florida. 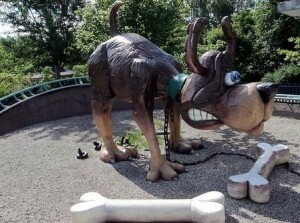 101: In your opinion, what is the most crazy/bizarre/unique attraction in the history of the theme park industry? Scott: Great question. In the historic sense, I have to say Hell Gate at Dreamland. Not only did the ride take riders down the gates of hell it, well, burned the whole park down (readers can check out this image from the Library of Congress: http://www.flickr.com/photos/library_of_congress/2162672387/). There are many other such ones from Steeplechase, Luna Park, Dreamland, and Sea Lion Park which would also qualify. Some of Steeplechase’s, such as the Human Roulette Table, are equally crazy. What I hope that people will understand is that these Coney parks indeed influenced the attractions we have today. In the contemporary sense, my vote goes to Bon Bon Land. Where else can one go and ‘enjoy’ animal ‘poo’? 101: Bon Bon Land sounds like one crazy place. 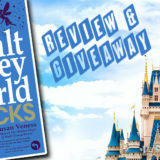 Do you have any plans for any other amusement park related books or blogs? 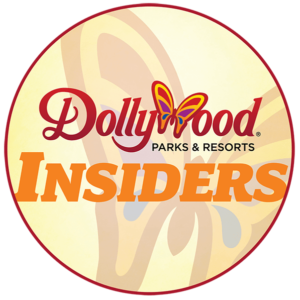 Scott: I am working on a guidebook that will detail ideas for creating stories in three-dimensional spaces (such as theme parks and restaurants). I also have a project on the Las Vegas Strip that’s in the works. 101: What is your favorite theme park? What is your favorite type of attraction? Any favorite or standout rides? Scott: Well, I am biased and would say AstroWorld, though it’s a nostalgia thing. I like many of Disney’s parks as well. I was very impressed with Blackpool Pleasure Beach (for its history), Dollywood (for its use of natural geography and landscape), Animal Kingdom (for its very new take on the traditional zoo), and Cedar Point (for pure roller coaster experiences). 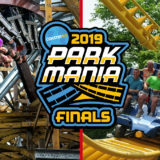 Favorite rides include the Texas Cyclone and Texas Giant (for roller coasters), Pirates of the Caribbean (for dark rides), Kilimanjaro Safari (for the surprise of being so close to animals), and Test Track (my vote for the best themed ride anywhere). I look forward to all of the new ones that are coming out and I have to ride The Amazing Adventures of Spider-Man at Universal’s Islands of Adventure. 101:You’ve definitely have to experience The Amazing Adventures of Spider-Man, it’ll knock your socks off. Thanks again Scott for taking the time to answer our questions. If you’d like to read more then go pick up your copy of Theme Park today!